Have they not seen how many generations the Divine Authority has destroyed before them which were established upon the earth? When God makes a promised, God does not break His promise, but most of the humanity do not know this. They only know the outer appearance of the worldly life and they are heedless of the Final Life. Have they not reflected within themselves? God has not created the heavens and the earth and all that is between them save by the Truth, and for a determined time. And truly, most of the people cover up (the Truth) concerning the meeting with their Lord. Have they not traveled in the land and seen what was the end of those who came before them? Some of them were greater in power than they are, and dug within earth and builtup more upon it than they have built. Messengers of their own came to them with Clear Proofs. Surely, God did not wrong them, but they wronged themselves. In his article 'The Fate of Empires' Sir John Glubb identified that an empire last for 250 years, or ten generations. from the early pioneers to the final conspicuous consumer who become a burden on the state. The Assyrian Empire lasted for 247 years (859 - 612 BC), Greece that of Alexander and his successors lasted for 231 years (331-100 BC), Roman Republic 233 Years (260-27 BC), Ottoman Empire exactly 250 years (1320-1570), Spanish same 250 years (1500-1750), Britain again 250 years (1700-1950). So this pattern is quite significant. There are common feature to every age of decadence. An independent research project recently conduced and based on a new cross-disciplinary 'Human And Nature DYnamical' (HANDY) model, led by applied mathematician Safa Motesharrei of the US National Science Foundation-supported National Socio-Environmental Synthesis Center, in association with a team of natural and social scientists has come to reveal that over 32 advanced civilizations have collapsed before us and our unsustainable greed makes us stand next in line. The study has highlighted the prospect that global industrial civilization could collapse in coming decades due to unsustainable resource exploitation and increasingly unequal wealth distribution. "The fall of the Roman Empire, and the equally (if not more) advanced Han, Mauryan, and Gupta Empires, as well as so many advanced Mesopotamian Empires, are all testimony to the fact that advanced, sophisticated, complex, and creative civilizations can be both fragile and impermanent." "Technological change can raise the efficiency of resource use, but it also tends to raise both per capita resource consumption and the scale of resource extraction, so that, absent policy effects, the increases in consumption often compensate for the increased efficiency of resource use." Productivity increases in agriculture and industry over the last two centuries has come from "increased (rather than decreased) resource throughput," despite dramatic efficiency gains over the same period. ".... appears to be on a sustainable path for quite a long time, but even using an optimal depletion rate and starting with a very small number of Elites, the Elites eventually consume too much, resulting in a famine among Commoners that eventually causes the collapse of society. It is important to note that this Type-L collapse is due to an inequality-induced famine that causes a loss of workers, rather than a collapse of Nature." Another scenario focuses on the role of continued resource exploitation, finding that "with a larger depletion rate, the decline of the Commoners occurs faster, while the Elites are still thriving, but eventually the Commoners collapse completely, followed by the Elites." In both scenarios, Elite wealth monopolies mean that they are buffered from the most "detrimental effects of the environmental collapse until much later than the Commoners", allowing them to "continue 'business as usual' despite the impending catastrophe." 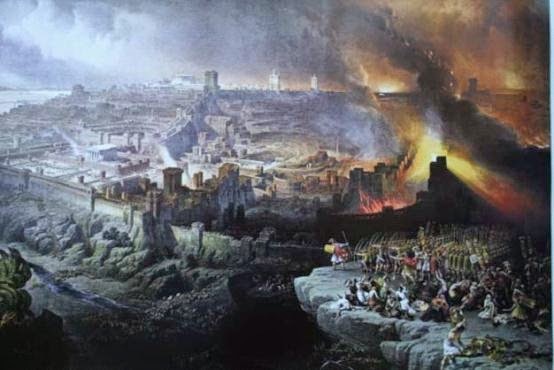 The same mechanism, they argue, could explain how "historical collapses were allowed to occur by elites who appear to be oblivious to the catastrophic trajectory (most clearly apparent in the Roman and Mayan cases)." But they became complacent, believing that they had some sort of ‘divine right’ to reign supreme, and that they could be as fiscally irresponsible as they liked. The French government spent money like drunken sailors; they had substantial welfare programs, free hospitals, and grand monuments. They held vast territories overseas, engaged in constant warfare, and even had their own intrusive intelligence service that spied on King and subject alike. Of course, they couldn’t pay for any of this. History is full of examples, from ancient Mesopotamia to the Soviet Union, which show that whenever societies reach unsustainable levels of resource consumption and allocation, they collapse. Think about the system that we’re living under. 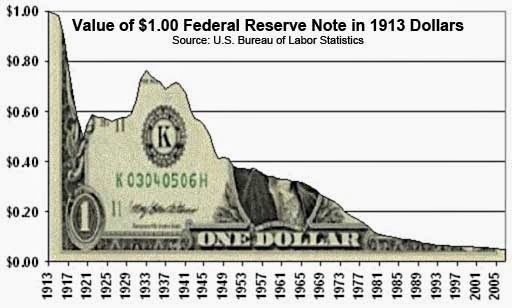 A tiny elite has total control of the money supply. They wield intrusive spy networks and weapons of mass destruction. The can confiscate the wealth of others in their sole discretion. They can indebt unborn generations. Curiously, these are the same people who are so incompetent they can’t put a website together. It’s not working. And just about everyone knows it. We’re taught growing up that ‘We the People’ have the power to affect radical change in the voting booth. But this is another fairy tale. Voting only changes the players. It doesn’t change the game. Today’s system is just a 19th century model applied to a 21st century society. I mean– a room full of men making decisions about how much money to print? It’s so antiquated it’s almost comical. But given that the majority of Western governments borrow money just to pay interest on money they’ve already borrowed, it’s obvious the current game is almost finished. Believe it or not, the world is actually controlled and run by a very small group of people who controls modern banking system, printing of money, decide which government to go or come and they have long sold their soul to the devil. They have made god irrelevant and their heart has become the seat of the satan. TO REALLY UNDERSTAND SOMETHING, IS TO BE LIBERATED FROM IT. 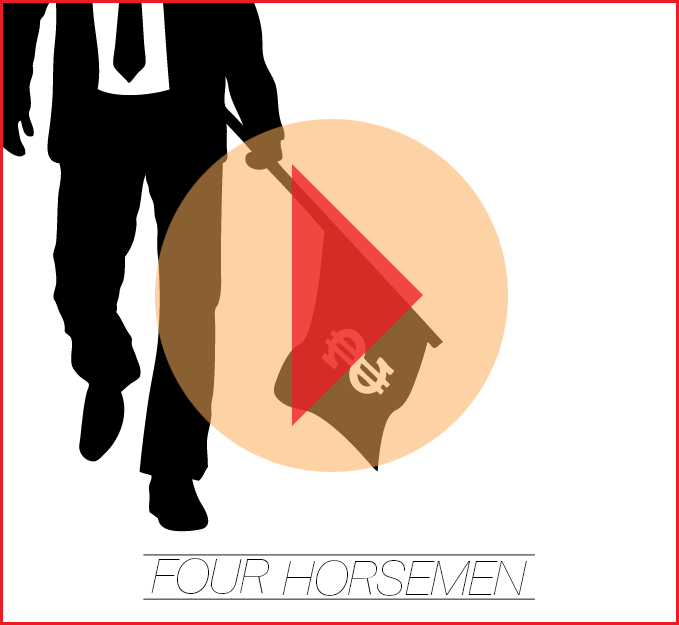 If you want to understand how the world mostly works and interested in getting liberated from it, then its recommended to watch the documentary titled: FOUR HORSEMEN. Technology of the Heart: Have they not seen how many generations the Divine Authority has destroyed before them which were established upon the earth? A new study partially funded by NASA reveals that over 32 advanced civilizations have collapsed before us and our unsustainable greed makes us stand next in line.